Sunday, March 6 from 12 p.m. to 4 p.m. The Little Sisters of the Poor are kicking off St. Patrick’s Day in the city of Scranton at their third annual St. Patrick’s Day Celebration and Dinner on Sunday, March 6, at Holy Family Residence, 2500 Adams Ave., Scranton, located adjacent to Marywood University. The event will begin with Mass at 11 a.m. with a bagpipe processional and recessional in the chapel followed by the dinner and entertainment from 12 p.m. to 4 p.m. in the auditorium. The menu includes ham and cabbage with potatoes and carrots, rolls and butter, vanilla ice cream with mint or chocolate syrup, and beverages. The entertainment for the afternoon includes the Kearns Drum and Pipe Band, E.J. the D.J., and Irish step dancing by the Crossmolina School of Dance. Tickets for adults are $10 in advance and $12 at the door. Tickets for children 10 and younger are $6. Tickets can be purchased in advance by calling (570) 343-4065 or online at www.littlesistersofthepoorscranton.org. Pictured are committee members: first row: Ann Kwak, Theresa Durkin, and Mary Sheils. 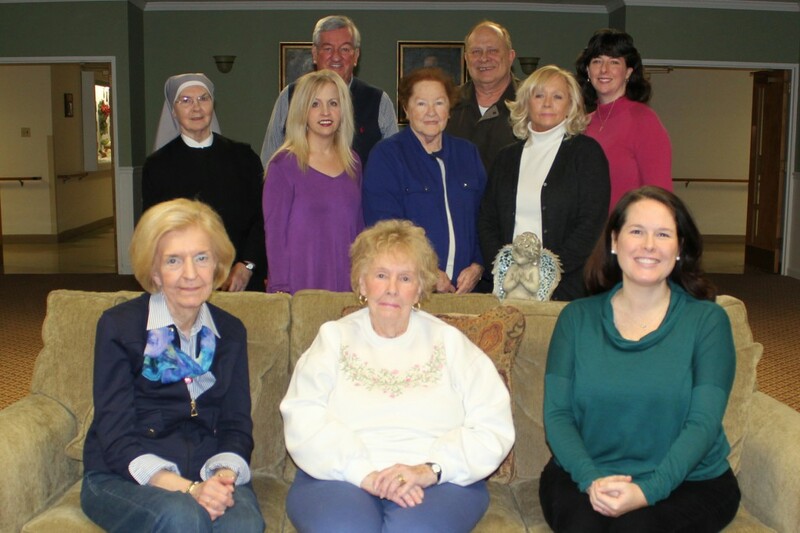 Second row: Sr. Marie Therese, l.s.p. ; Lisa Blaker, director of activities and volunteer coordinator; MaryCarol Kanton; and Janet Skibinski. Third row: Charlie Butler; Pete Kanton; and Jackie Galvin, M.S., director of development and communications. Also serving on the committee are Dolly Densevich; Faith Foley; Carole Paswinski; Mary Jane Sheridan; Lisa Sutter; Nancy Wilson; Karen and Howie Wyandt; and Mother Theresa Louisa, l.s.p.